“It is not climate change that is threatening the coastal towns of Australia. Gosford Council is “prepared to write off 9000 families…by introducing draconian development controls that ultimately are designed to turn all of Davistown & half of Woy Woy and Empire Bay into derelict suburbs,” says [Pat] Aiken [secretary of Coastal Residents Incorporated]. “Amid exaggerated predictions that sea levels would rise by 75m, [coastal engineer Doug] Lord made the career-ending mistake of actually measuring the sea level and trying to publish the results. This caused him to be “let go” from his government job and have peer-reviewed scientific papers pulled at the last minute from a conference in Shanghai last year, from a conference in Perth in September and from a journal where they were to be published this year. This was an inconvenient truth to governments who were busy beefing up climate risk assessments at the time. 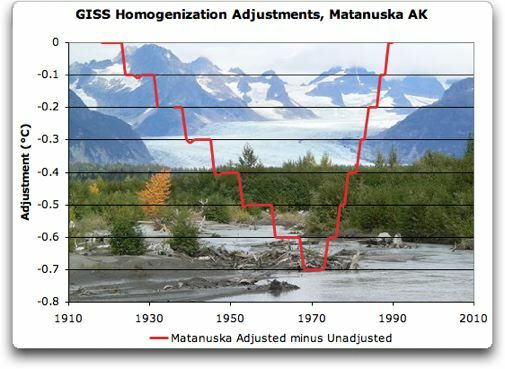 The federal government predicted a sea level rise of 1.1m by 2100. NSW came up with 0.9m. Last year, Lord and Watson were banned from presenting three papers they had prepared for the International Conference on Coastal Engineering in Shanghai. By this stage, Lord had lost his job, after a departmental “restructure”. Nevertheless, he and Watson wrote another paper, which was peer-reviewed and approved for publication in the journal of Australian Civil Engineering Transactions. In September, just before publication, the department refused Watson, still an employee, permission to publish. “When confronted with the fact that the current global temperature anomaly is not significantly different than the warmest part of the Medieval Warm Period, the Gorebots will resort to the claim that the rate of warming in the late 20th century was unprecedented. That claim, like most other Gorebot claims, is false. 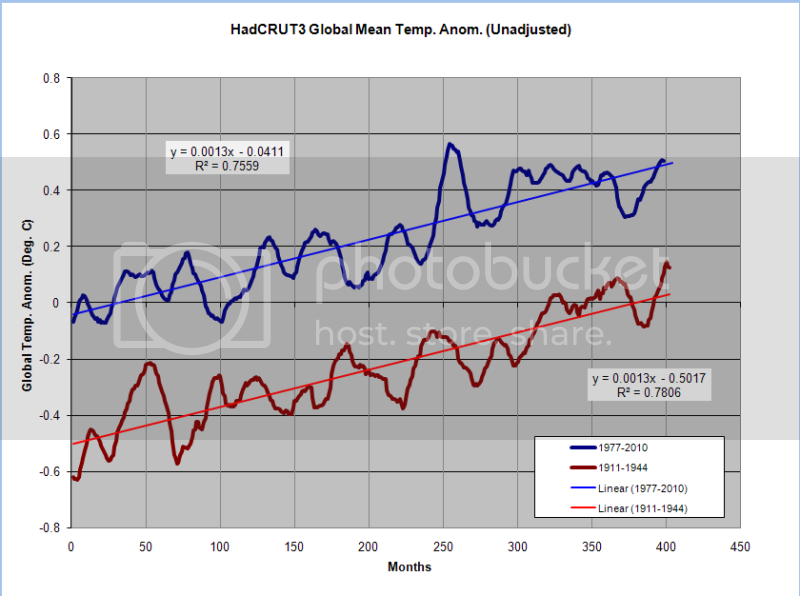 “In the original NOAA US data base, NOAA had an adjustment for urban heat island [UHI] contamination. The combination of longer term station stability and this adjustment made that data base (1221 climate stations), the best in the world. This is what it showed in 1999. “Gabriela Chavarria of the Natural Resources Defense Council (NRDC) has been picked as the science adviser for the U.S. Fish and Wildlife Service. Trained as an entomologist, Chavarria studied neotropical bumble bees and has since worked in conservation policy at Washington, D.C.–based NGOs. Since 2006, she has directed NRDC’s science program. Before that she was vice president for science and conservation at Defenders of Wildlife and headed conservation policy at the National Wildlife Federation. Chavarria was also a member of the Invasive Species Advisory Committee and served on the recovery team for the endangered black-footed ferret. Anthony Watts had a post awhile ago (while I was on the Colorado River) discussing the new paper “CONTIGUOUS U. S. TEMPERATURE TRENDS USING NCDC RAW AND ADJUSTED DATA FOR ONE-PER-STATE RURAL AND URBAN STATION SETS” by Edward R. Long, Ph.D., illustrating both the urban heat island (UHI) effect and the faulty adjusting of urban and rural raw data in the U.S. The two graphs here are from the paper (extracted by Anthony). 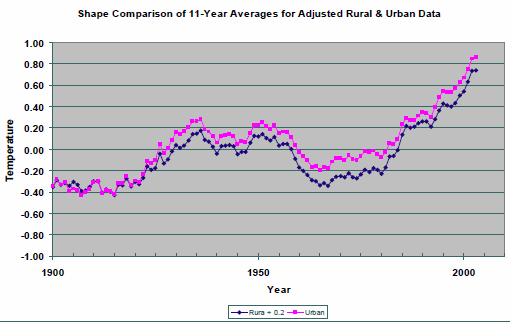 The first graph shows rural versus urban raw data. What is striking is that (1) the raw rural data show that the 1930s were warmer than today and (2) the UHI effect is evident and large. The second graph shows the same data after NCDC adjusts it. 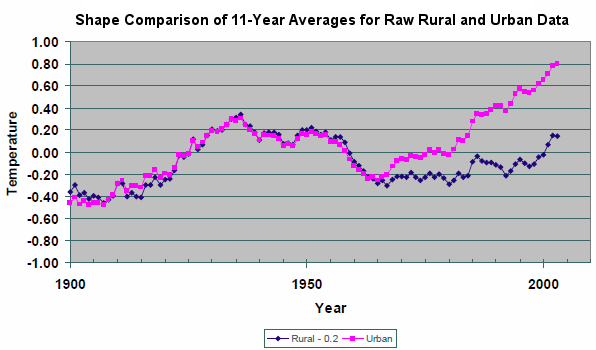 One would expect that the rural raw data would not be adjusted and that the urban raw data would be adjusted downward to take into account the UHI effect. But instead NCDC adjusts the rural raw data upward until it nearly matches the urban data! The NCDC adjusted temperature record is clearly urban biased.